The Bright Papua Expedition in West Papua Province continues. Gradually volunteer teams arrived in West Papua. Today arrived 8 volunteers who will conduct the survey, then plans on Tuesday (4/9) will return dozens of other volunteers. Manokwari residents also enthusiastically welcomed this volunteer team. Evidently, the traditional ceremony of stepping on the plate was deliberately done as a welcome greeting to volunteers in Manokwari. Not only that, the volunteers were also given crowns and necklaces typical of Manokwari. PLN Manokwari Area Assistant Planning Manager Sugiri said dozens of volunteers would conduct surveys in 65 villages spread across a number of districts in West Papua Province. Dozens of volunteers who joined the Bright Papua Expedition were PLN employees from all over Indonesia and students at five universities. "The volunteers will serve for 1 month in 65 villages spread in Kaimana, Maybrat, Sorong, South Manokwari (Mansel), Arfak, Tambrauw and Manokwari Regencies," he said. 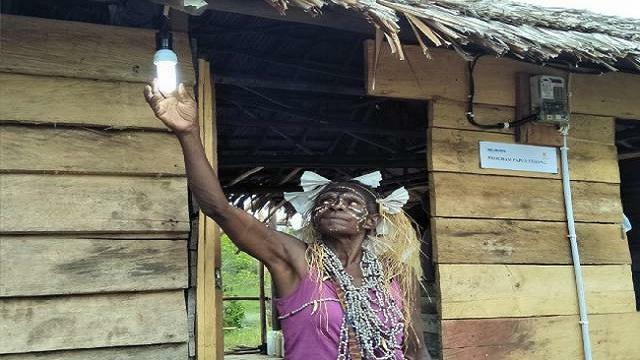 Data from PLN recorded 900 villages in Papua and West Papua will be electrified which is planned to be designed according to the potential of each region. "The generator can be in the form of solar power, micro hydro (water) or diesel," Sugiri said. Previously, the Bright Papua Expedition was suspended, after the attack on volunteers of the Bright Papua Expedition in Paniai District at the beginning of last August.